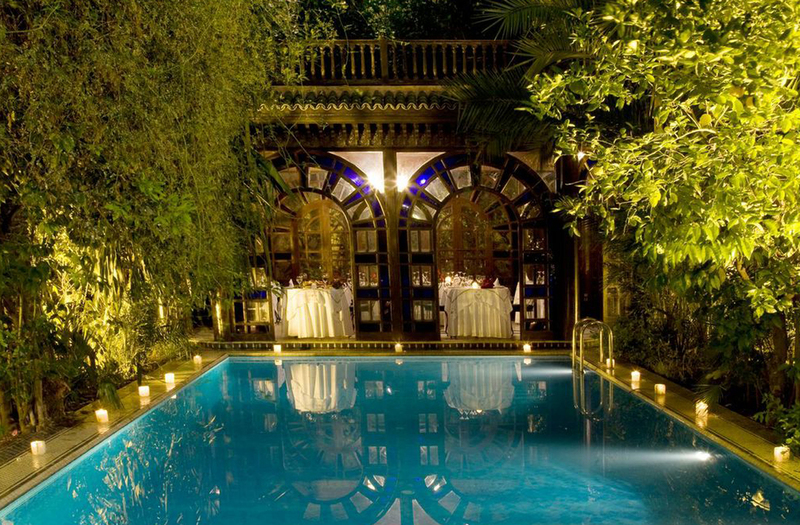 Authentic and refined, Les Jardins de Sheherazade offers you a unique gastronomic moroccan table which became a reference in Fez ( Morocco). 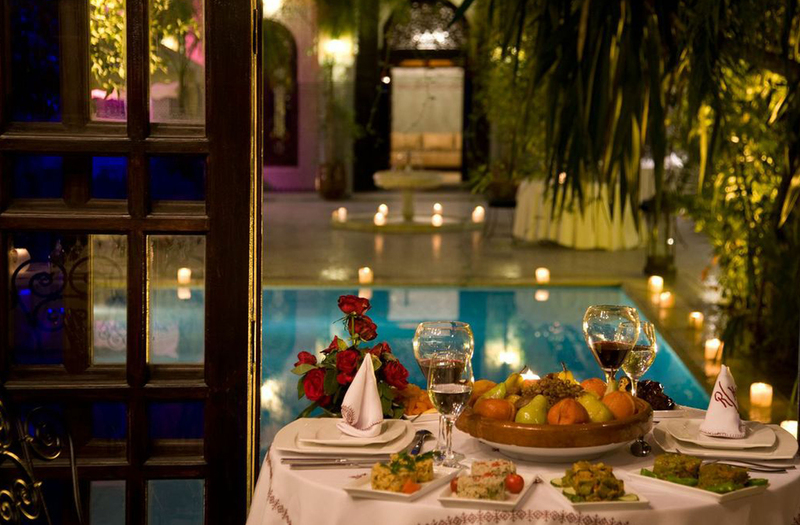 This restaurant welcomes you in a luxuriant environment to discover an inventive and ancestral cuisine typical of Fez, cultural and gastronomic capital of Morocco. 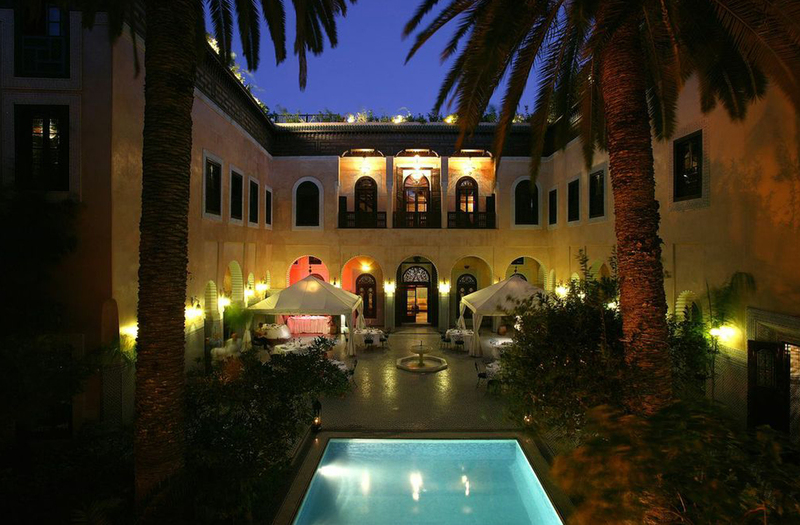 The menu is composed by classic dishes from the moroccan gastronomy as well as inventions from the Palais Sheherazade inspired by historical books from century old thinkers. 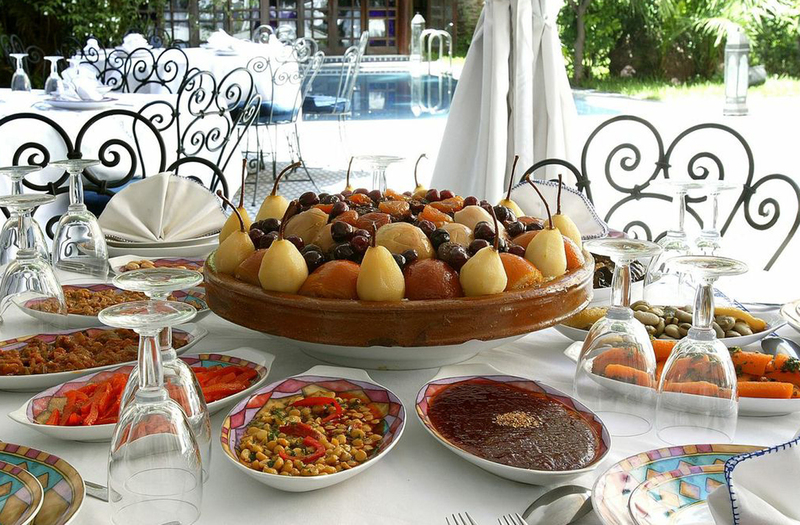 You will get to taste our speciality “The couscous with 7 fruits” which have been praised by prestigious gastronomic critics and international press. 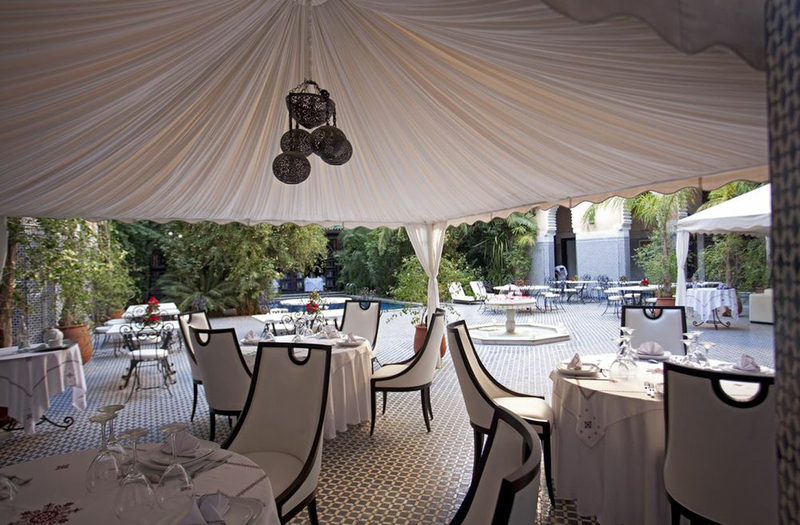 You will appreciate your lunches and diners in the open sky patio listening to the birds of the magnificent arabo-andalousian garden with century old palms and luxuriant vegetation. 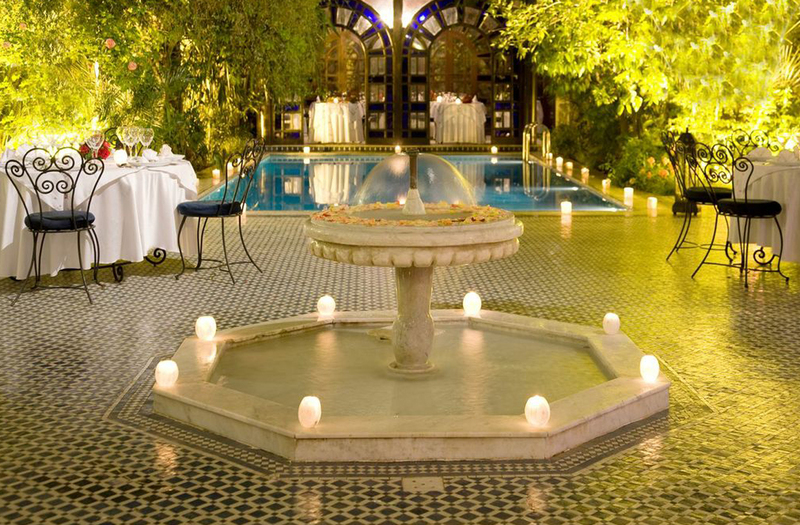 The zellige columns adorned with sclupted plaster, white marble fountain, ciseled copper chandeliers, giant vegetal wall with intoxicating sents and high quality furniture will transport you centuries away to the era of 1001 nights. 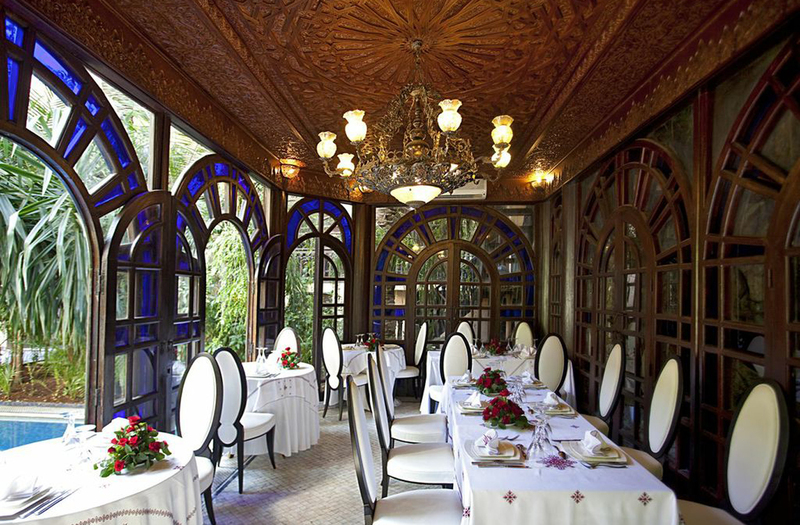 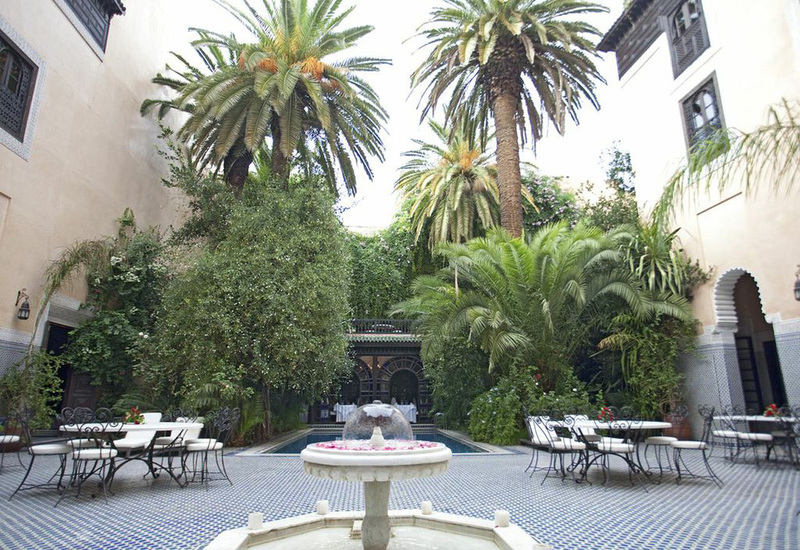 Les Jardins de Sheherazade ( Gastronomic Restaurant Fez ) offers unique spaces to experience exquisite moroccan cuisine. 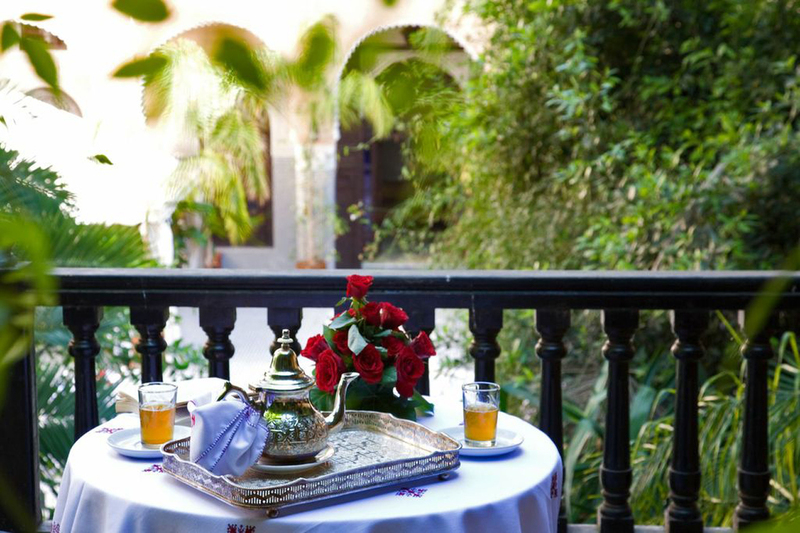 You will enjoy romantic diners at the moorish kiosk in sclupted cedar bordered by the pool, jasmin flowers, orange trees and century old palms. 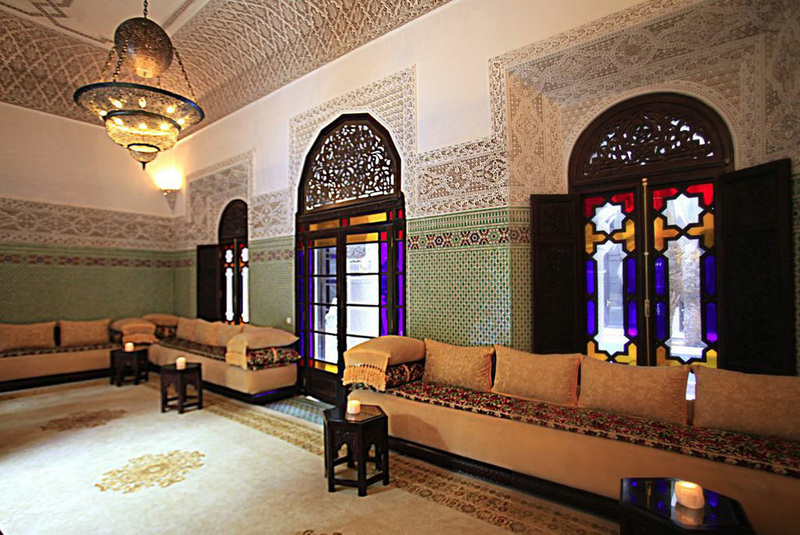 Our moroccan traditional salon with hand-embroidered silk will be perfect for your business meetings. 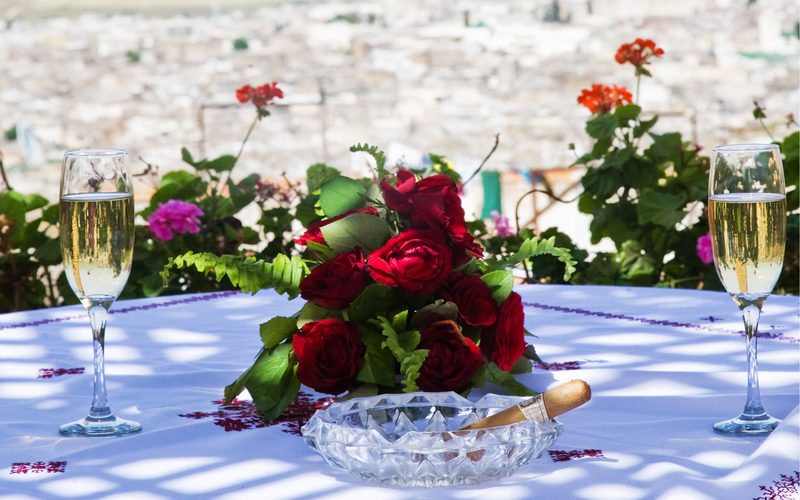 The Panoramic terrace will offer a serene atmosphere to enjoy your meals overlooking the XII century old Medina. 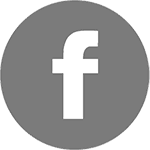 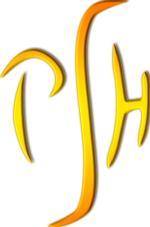 Organisation of tailor-made events from 10 to 350 guests for your private parties, gala diners, weddings, incentives, business trips, press conferences, fashion shows and product launchings. 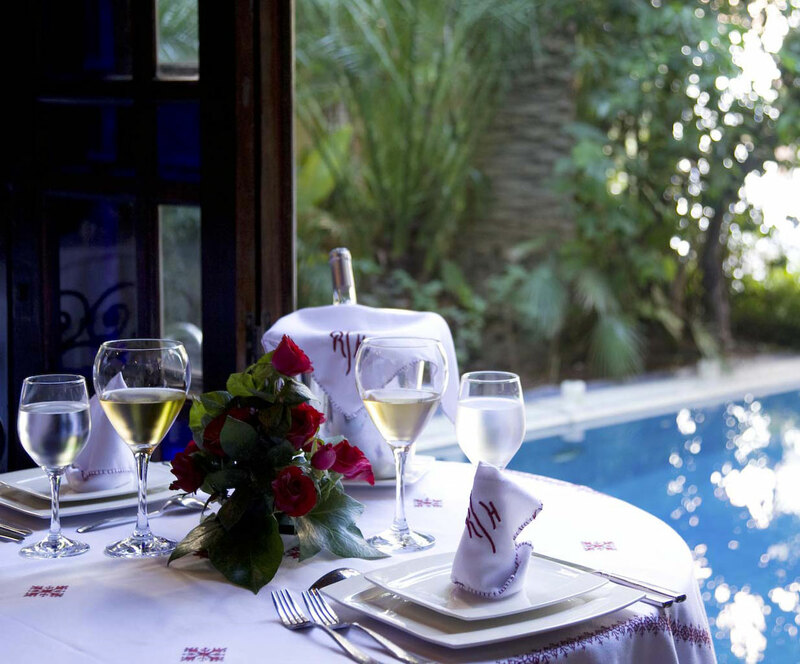 From the menu to the slightest decorative details, everything will be handled by our qualified teams to make every celebration an unforgetable moment.